With extensive experience in the telecommunications and networks markets, ADComms works with clients to develop intelligent connected solutions that solve operational challenges. The company innovates, designs and builds telecoms, network, energy and train-borne technology solutions while providing a dedicated customer service. Its maintenance organisation supports its solutions post deployment, to ensure reliability and extended operational life. 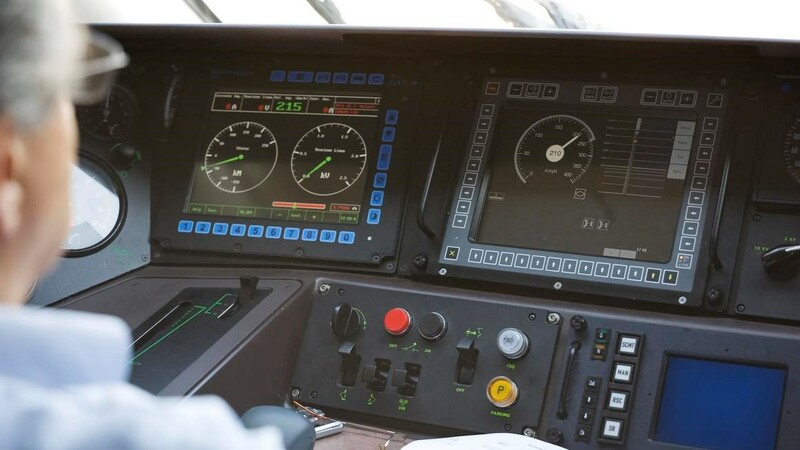 ADComms will be showcasing its on-board train technology, control room management systems, track to train connectivity, infrastructure services, traction & rolling stock, train presentation & workshop consumables. Advanced Resource Managers (ARM) works with some of the biggest consultancies, best-known contractors and busiest local authorities in the UK. Considered true experts within the industry, ARM’s rail consultants possess a combined 25 years’ experience and specialise in permanent, contract and fixed term placements across a broad of range skillsets for this very niche sector. Buzzing with activity, there are many job opportunities in rail right now. 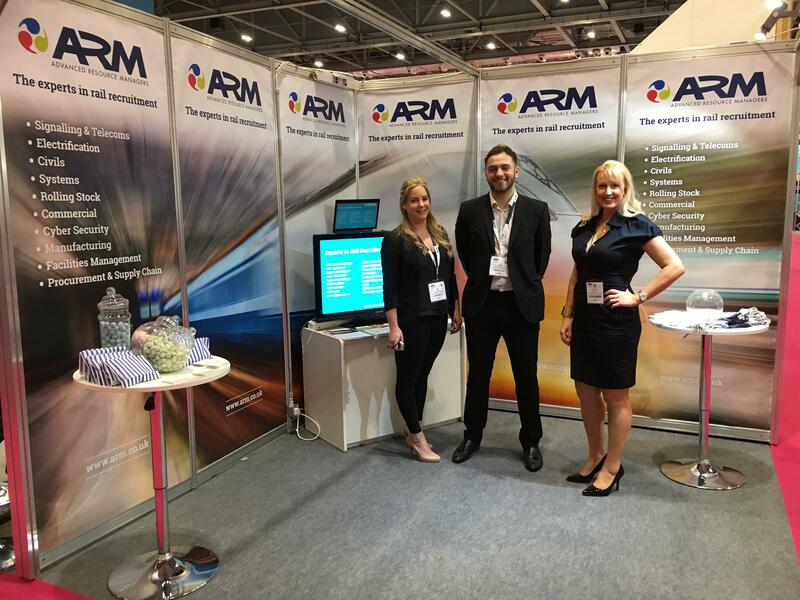 ARM is proud to work with a broad range of businesses across a number of sub-sectors within rail and infrastructure. It supplies talented professionals to customers who work in multiple disciplines and have delivered complex assignments for some of the industry’s leading specialist companies, including client organisations, design consultancies, cost engineers and contractors, based both in the UK and around the world. With a strong reputation in these markets, based around delivery of some highly successful packages of work, ARM often sources candidates with extremely hard-to-find skills. This isn’t confined only to the UK either; the international division is fast picking up speed. 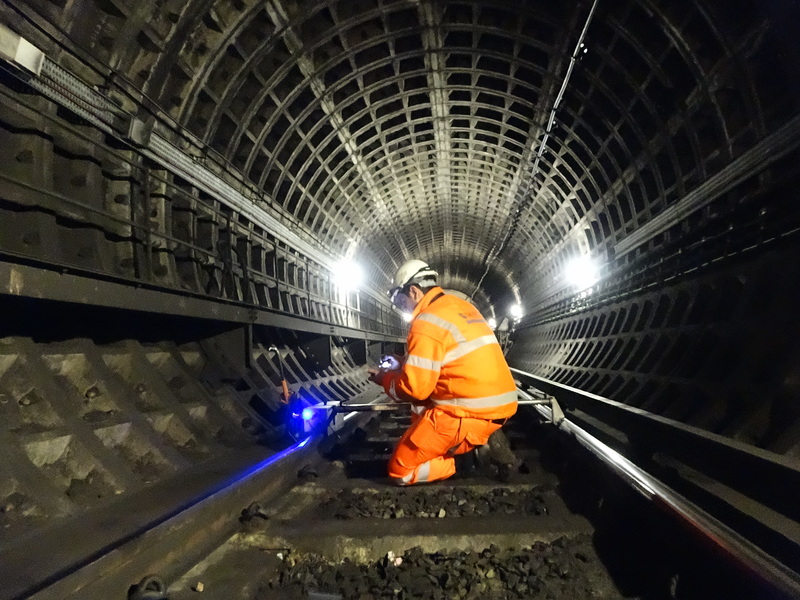 AEI Cables will be showing why Network Rail its specialist cables for a range of signalling needs across its infrastructure – meeting the highest standards of rail accreditations. 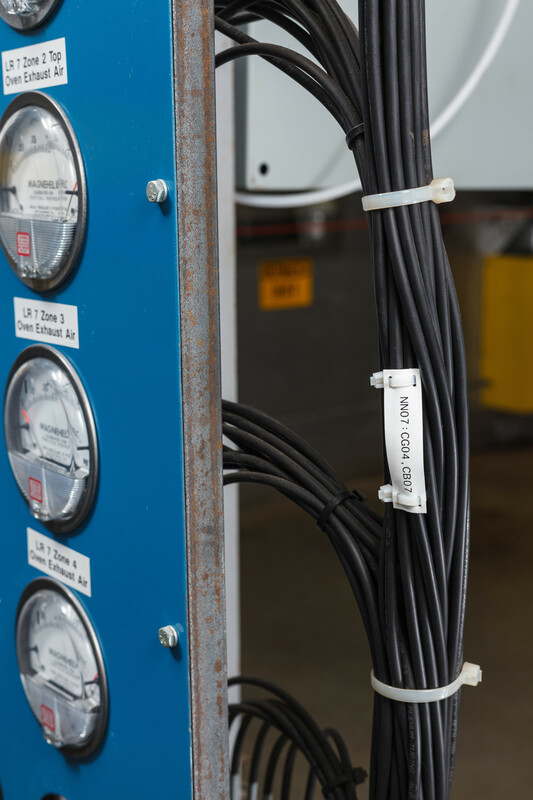 These cables will provide power for train protection warning systems, playing an essential part in ensuring the smooth running and reliability of the rail network. They ensure the transmission of signals and a continuous power supply across all trackside signalling equipment, with a voltage rating from 650-1100V and an operating temperature range from -25 to 85 degrees, complete with insulation including Low Smoke Zero Halogen (LSZH). Alstom, as a promoter of sustainable mobility, develops and markets systems, equipment and services for the transport sector, offering a complete range of solutions (from high-speed trains to metros, tramways and e-buses), passenger solutions, customised services (maintenance, modernisation), infrastructure, signalling and digital mobility solutions. Highlights of Alstom’s exhibition this year include a new hydrogen train for the UK market. 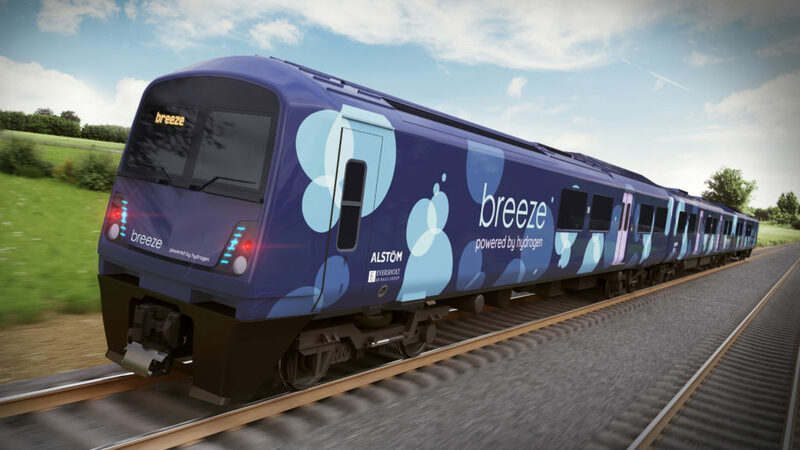 Codenamed ‘Breeze’, this will be a conversion of existing Class 321 trains, reengineered by Alstom and Eversholt Rail to create a clean, green train for the modern age. Alstom’s Widnes modernisation facility is the most advanced in the country. The main modernisation hall in Widnes is so large that it rivals the size of the deck of the UK’s flagship new Queen Elizabeth class aircraft carriers. One of the UK’s most successful electrification businesses, Alstom has recently played a key role in delivering Stirling-Dunblane-Alloa. At the last Railtex, in 2017, Alstom unveiled its Clever cantilever which has a unique design. With fewer connections, the cantilever is easier and quicker to install. The Digital Railway will be delivered using products such as Alstom’s world-renowned Atlas ERTMS family. Atlas offers a complete system for optimal efficiency and complete safety, delivering a number of benefits like improved line capacity (high-density, higher speed) and service reliability as well as compatibility with energy-saving driving profiles. 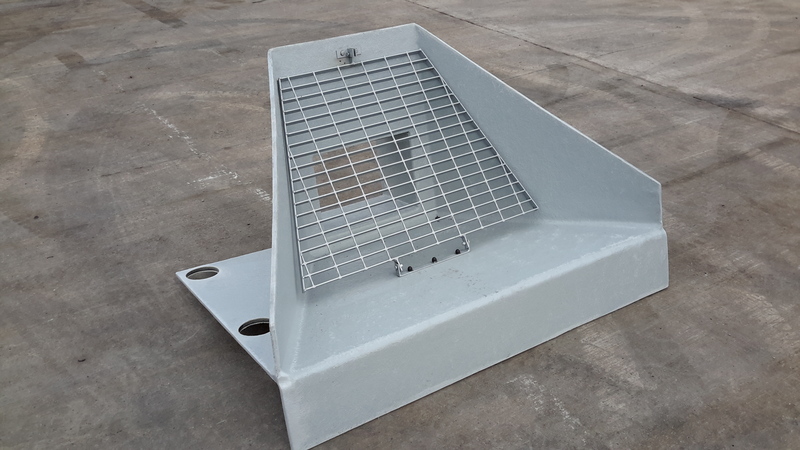 Aqua Fabrications manufactures and supplies quality on/off drainage systems and cable management for the rail network. From geotextiles to catch-pits to UTX chambers, Aqua’s experience, coupled with unrivalled service, provides clients with a reliable and trustworthy supplier. At Railtex, Aqua will be promoting its new and innovative Belvedere headwall. 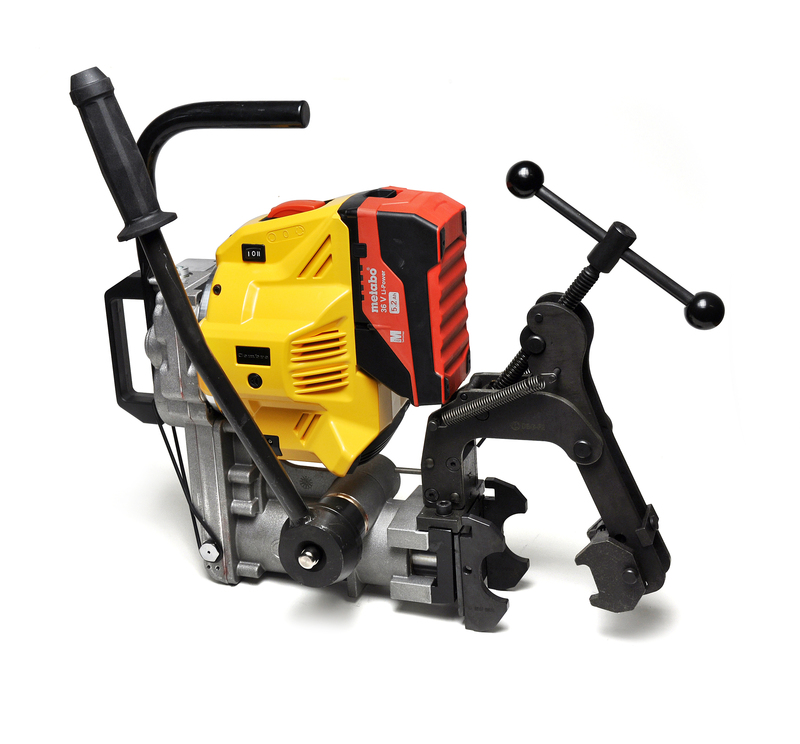 This unique product can be installed instead of concrete and, due to its low weight, its can be manhandled into place instead of requiring a crane to lift it. Such an advantage results in cost and time benefits for the client and health and safety issues for its employees. 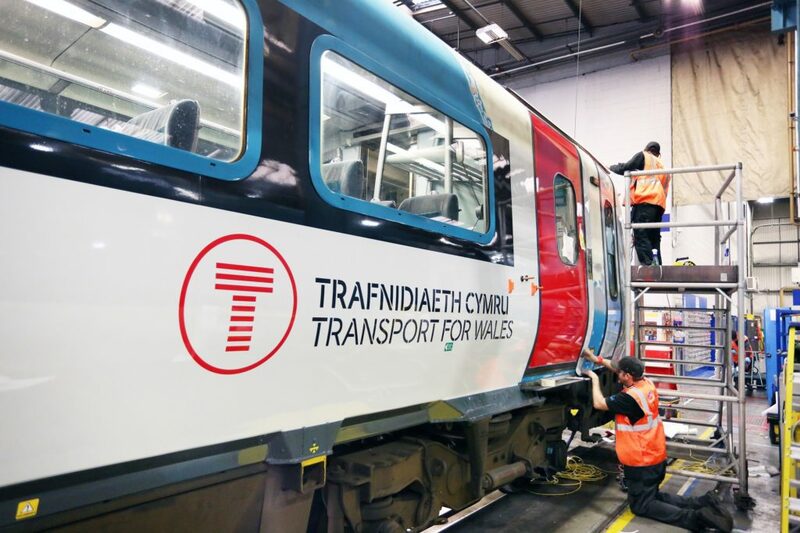 Aura Graphics’ rail branding, refurbishment and presentation services offer comprehensive, flexible project solutions that work with customers’ needs every step of the way to enhance, safeguard, and maintain rail rolling stock. With everything from exterior branding to interior repaints taken care of, Aura’s commitment to supreme quality keeps trains looking first class – inside and out. At Railtex 2019, Aura Graphics is are very excited to announce that it will be showcasing a host of new products and services, including a spectacular new product that promotes sustainability and reduces carbon footprint, but also comes with increased fire accreditation that far outweighs any product in its class in the rail market. To understand more about the launch of this product, visit stand M64 and be the first to see what will be unveiled. Austroroll has designed a maintenance-free switch point roller that sets itself apart, due to its impressive robustness, simple assembly and high operational efficiency. It is the only permanent flexible switch point roller in the world with a five-year warranty. Installed in the spaces between sleepers, the device dispenses entirely with the slide plate lubrication that turnouts normally require. It dramatically reduces point failures, and can cut the switching forces that point drives must exert by as much as 60 per cent, saving over 20 litres per year of lubricants per set of points. With sales of well over 220,00 since its introduction in 1992, the system has been successfully used by most of Europe’s railway companies for many years. Austroroll has performed well at temperatures of over 80 degrees in the Australian outback and has coped equally well with the gruelling conditions of the Brazilian rainforest. 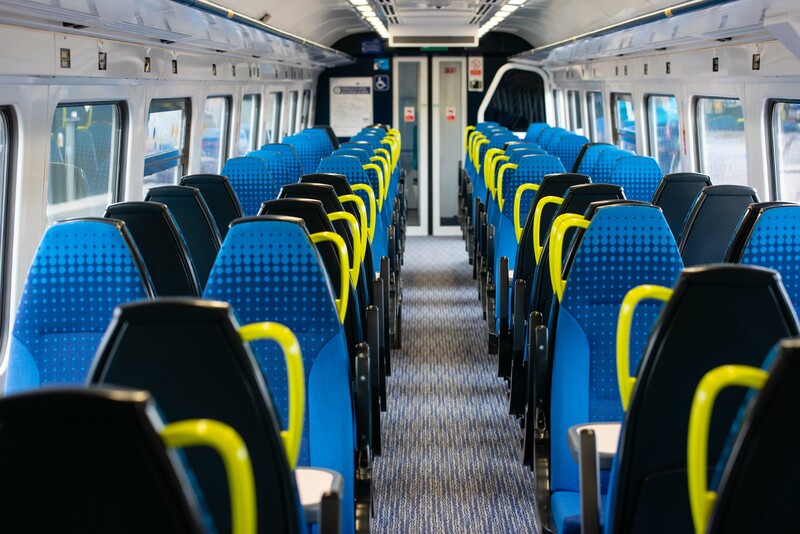 Axminster Carpets draws on its experience across the transport sector to service the largest rail operators with the most precise requirements, now accounting for the majority of all woven train carpet. Bespoke refurbishment projects include South Western Railway, ScotRail, Northern and the prestigious Belmond British Pullman – a glamourous, vintage train which invites each passenger to travel back to the Golden Age of rail travel, the roaring 20s. An Axminster carpet combines high performance with aesthetic prowess and ecological responsibility – renewable, biodegradable and sustainable. Beautiful to live with, work with and travel with! With exceptional quality and capability credentials, Axminster Carpets have established themselves as a market leader, offering the very best in the industry since 1755. 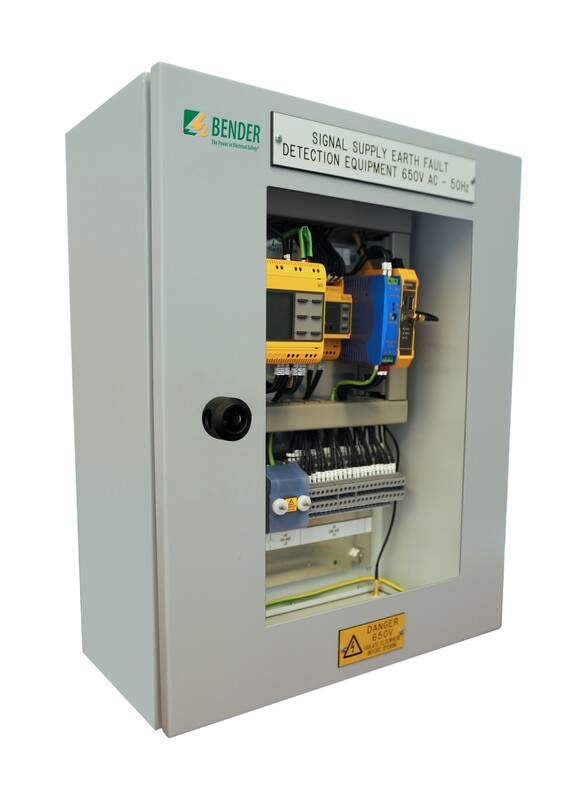 Bender UK is showcasing its improved RS4 signalling fault location systems. 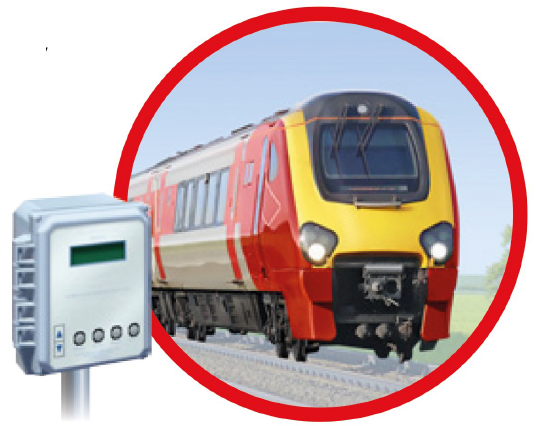 Previous variants of the device, the RS2 and RS3, are proven in use by Network Rail – monitoring and relaying vital information on the status of power supplies. The new RS4 is designed to comply with standard NR/L2/SIGELP/27725. Variants of the RS4 will accommodate Tier 1, Tier 2 and Tier 3 requirements. Delivering improved fault location at higher insulation resistance levels ensures even earlier warning of electrical failure – increasing the engineer time to arrange and implement repair and maintenance plans. Bender condition monitoring solutions will be also be displayed on stand H91, as well as a working RS4 demonstration to allow exhibitors a first-hand experience of the advanced equipment in use. Bernstein is a specialist manufacturer of enclosures, safety switches, limit switches and sensors. With local and worldwide value-added capabilities, Bernstein is the perfect ‘one-stop’ solutions partner. With expert knowledge in the field of contact and non-contact detection of solids, liquids (including people), plus protection solutions for the most delicate customer products, Bernstein produces products that operate in the harshest of environments. 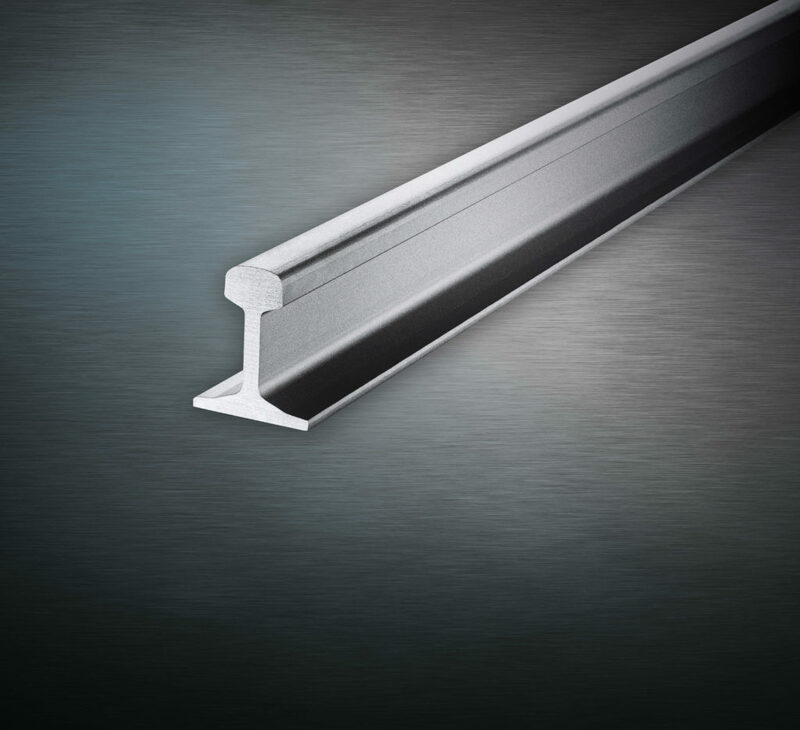 These are especially suited for use within the rail industry, providing solutions for longstanding application requirements, trackside or train borne. Applications include dual door monitoring, TPWS, WSP, HADB, platform screen doors and blind spot safety sensors. Bernstein continues to be a partner to all leading rail companies, being a safety critically approved supplier to Siemens and Bombardier with heavy involvement on the Crossrail project. See below link to follow an overview of our product supply to the rail industry. The Birmingham Centre for Railway Research and Education (BCRRE) will be showcasing some of the latest innovations in the sector, from fundamental university-based research to more developed concepts that are ready to take to market. Visitors will have the opportunity to discuss their research needs and ideas with the team and to see how the BCRRE, at the University of Birmingham, could support their businesses. A key part of the BCRRE stand will be to showcase DIGI-RAIL, an ERDF-funded project designed to help SMEs in the Greater Birmingham and Solihull Local Enterprise Partnership (GBSLEP) and Coventry and Warwickshire (CWLEP) areas get access to world-class expertise to develop in the rail industry. Alongside BCRRE, the Rail Alliance will be providing information on its exciting new offering for the wider industry, so visitors can find out how to become part of the new Rail Alliance community and the benefits and options available to community participants and partners. Brady, a global identification solutions specialist, has developed a comprehensive identification offer specifically for rail vehicle manufacturers. These are engineered to make sure they are compliant and resistant against the challenges faced by the industry. Extensive research capabilities enable Brady to continuously evolve and adapt products to new norms and regulations, such as EN-45545. Designed for easy application, Brady’s rail vehicle identification solutions are printable on-site using Brady printers. The ‘Identification Solutions in Rail Vehicle Manufacturing’ book summarises Brady’s expertise and capabilities and shows identification solutions that can be part of sustainable, flexible and timesaving technologies in rail vehicle manufacturing. Amongst the latest products released by Brady, the B-348 Mass Transit Tag complies with minimal smoke and halogen emission requirements of the strictest underground norms for mass transit vehicles. Printable both on-site and in the field, the tag is a practical solution for mass transit manufacturers to identify thick cables and cable bundles. For more-demanding applications, the BradyPrinter i3300 Industrial Label Printer is a completely hassle free, easy to use PC-based printer that can print a full range of safety and facility labels and signs as well as die cut labels for wire identification, product identification and laboratory identification. British will be present at Stand R50, promoting its wide range of premium steel products and associated services, designed to help the industry build stronger railways. 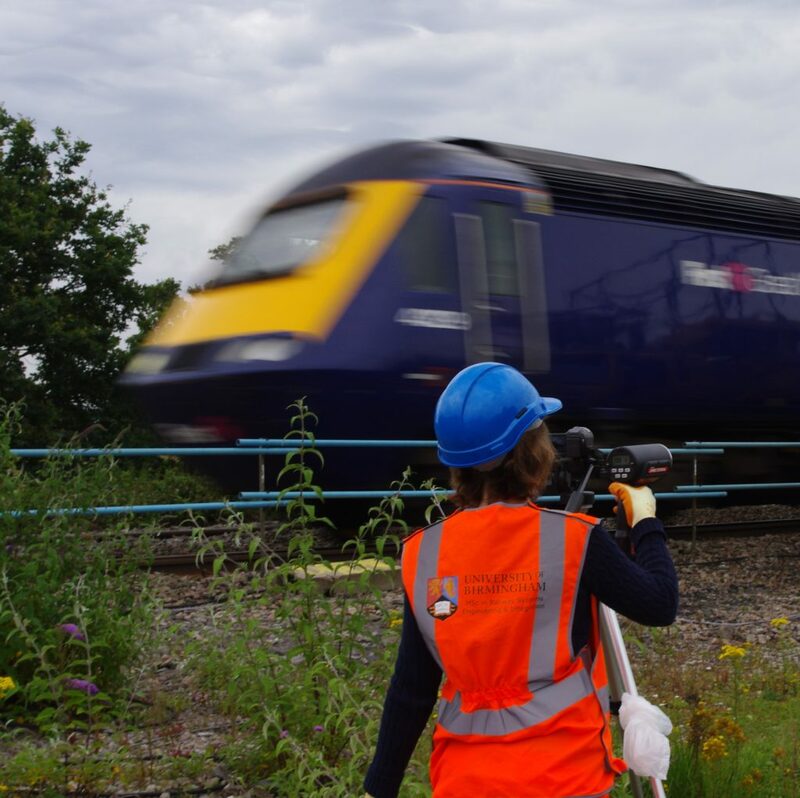 The Rail Technologies team will be carrying out track-monitoring activities in the official ‘On-Track with British Steel’ area, and will be available to answer any questions on the latest developments in track condition assessment. British Steel will also be promoting its range of structural sections, designed to enhance any additional railway requirements, from bridges to stations to electrification. 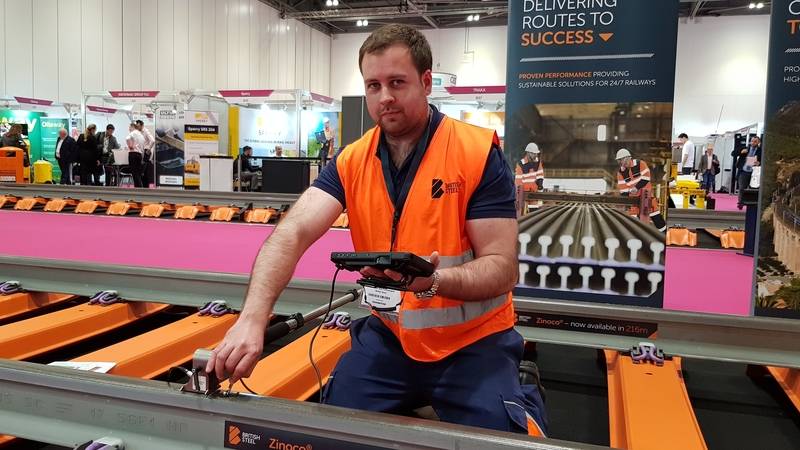 Marketing manager Daniel Pyke will be taking the floor at the Rail Engineer seminar theatre on Thursday 14 May at 11.50am with his paper on ‘Rail track – real performance’. Open to all, the technical seminar will take place on stand D61. Castell Safety International has been at the forefront of trapped key interlocking (TKI) since 1922 when the company’s founder, James Harry Castell, designed the first interlocking systems to protect people and assets during the electrification of London. Today, Castell Safety International designs and manufactures the world’s widest range of industrial safety interlocking systems, ensuring that industry can operate safely around the world. 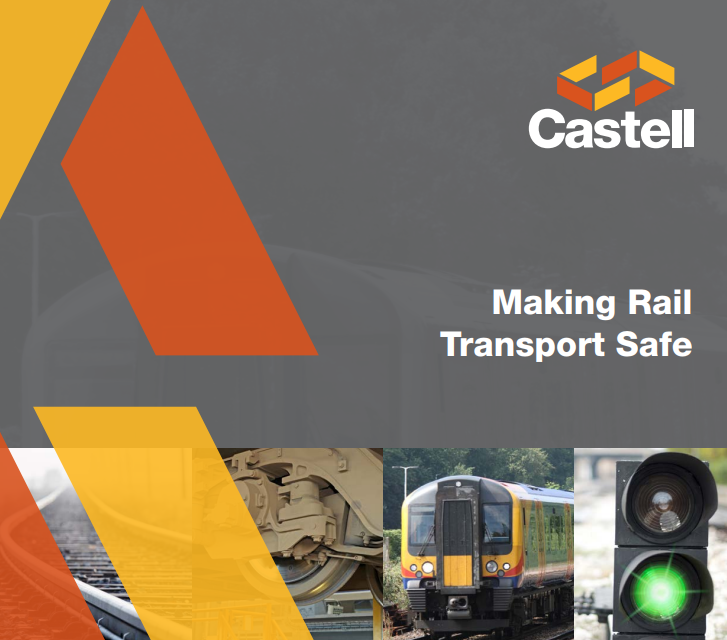 Castell has a history in the rail industry of over 90 years around the world, providing robust safety products. 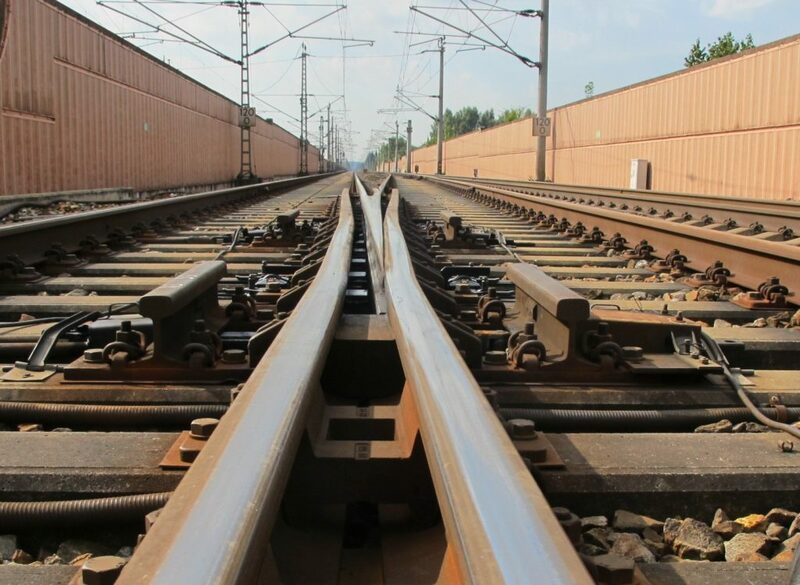 This means that the company can ensure processes are enforced and prevent accidents throughout the network, from rolling stock to maintenance depots and from track access protection to power supply interlocking. Applications for rolling stock, track, power signal control and maintenance depots, combined with high levels of protection through full-body access products, ensure processes cannot be started until personnel are safe. Cembre will be launching its latest Rainproof Battery Tooling, following on from its award-winning Rainproof Battery Rail Drill. Visitors will be able to operate the new Rainproof Battery Sleeper Drill (capable of drilling 100+ holes on a single charge) and experience the significantly lower HAVs and noise levels. With features such as built in LED lights to illuminate the work area and a reverse action to retract augers when required, this drill is ideal for “No Fuel Sites”. Using the same battery platform as the Rail and Sleeper Drill, Cembre will also be introducing a new Rainproof Battery Powered Pump. This has vastly increased capacity and also features Smart Tool Technology. Along with other tooling for p-way, S&T and electrification, Cembre will also be demonstrating its MG3E thermal printer suitable for a variety of Marking Requirements. Visit Stand P17 for the latest in a line of Cembre product Innovations. Commend is the world leader in integrated audio solutions. 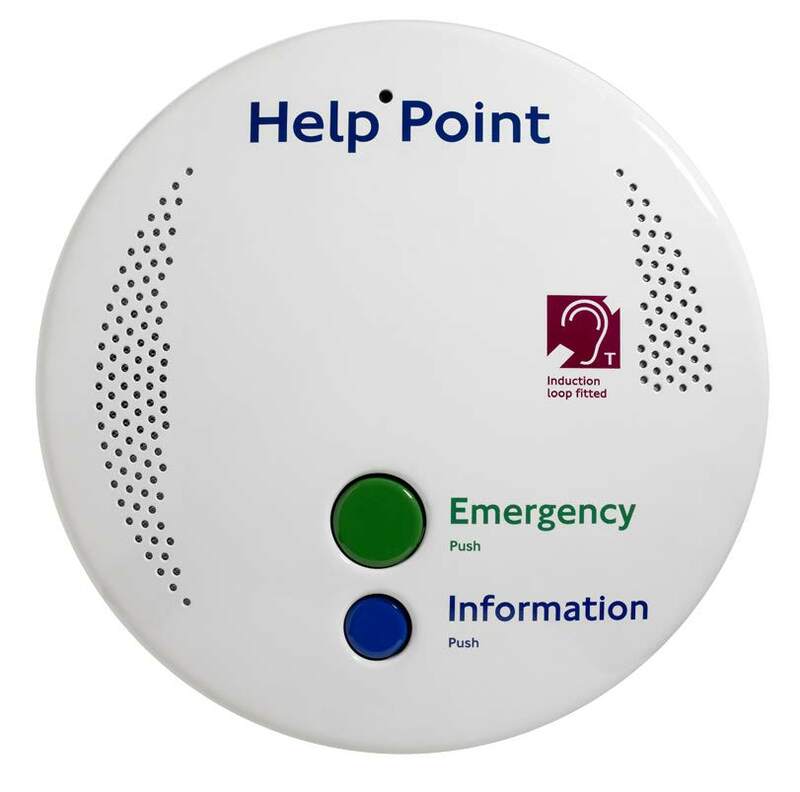 Its flexible, cutting edge ‘Unified Audio Platform’, is providing enhanced security, safety and information to people around the globe. Commend solutions are compliant to the highest regulations in the rail industry and seamlessly integrate existing security infrastructure (CCTV, access control, fire alarm, lifts, etc.) into one platform. Intuitive visualisation software allows users to efficiently monitor, manage, plan and respond to any situation, whether it be daily operations or emergency situations, saving customers vast sums of money. With a 43-strong UK team, Commend can guide customers throughout their projects, including pre-sales technical advice, the design of the system, comprehensive support during the installation and after care with commissioning and maintenance contracts. Come to stand B60 and discover how the Unified Audio Platform can provide comfort and information as well as protect people and save lives!